Saudi Arabian defence forces intercepted and destroyed a ballistic missile fired by the Houthi militia towards Najran Thursday. Saudi-led Coalition Spokesperson, Col. Turki Al-Maliki, said that the coalition detected a ballistic milssile fired towards Saudi Arabia by the Houthi militia from the Yemeni city of Saada at 7.09pm local time. Saudi Air Defence forces intercepted and destroyed the missile in the province of Saada. 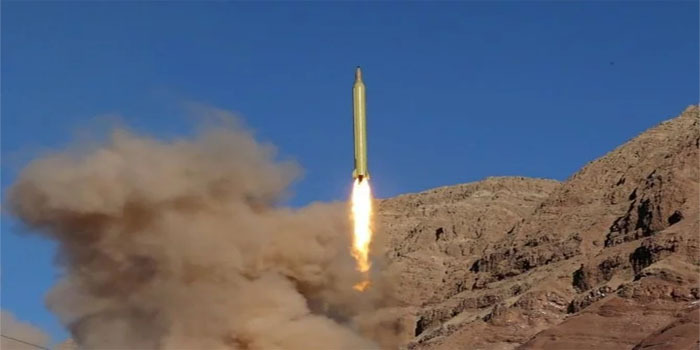 The missile was heading in the direction of Najran, and no injuries were reported. A total of 194 ballistic missiles have been fired by the Houthi- backed militia towards Saudi Arabia since the Houthis seized the capital Sanaa in September 2014.112 people have died as a result of these missile attacks.